State Bank of India customers can receive last 6-month bank account statement to his/her email address through SMS. Just send an SMS from your registered mobile number and you will receive six-month statement in your email address. You can register your email address to bank account online through net banking for e-statement and alerts. 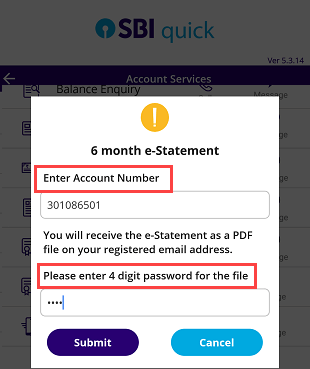 Read: How to register email ID in SBI account online. You can also visit your branch to register email id. If you want to check your account last six-month statement or need to submit anywhere then just send an SMS from your mobile number and you will receive six-months statement in your linked email ID inbox. You just need to send an SMS from your registered mobile number and the statement will be sent in your email inbox within 24 hours. 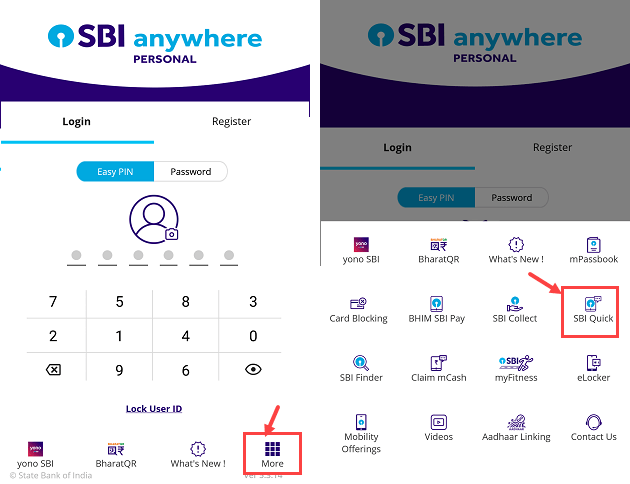 1# Open SBI Anywhere mobile application and tap on more & open SBI Quick. 2# Now select Account Services and next you can see “6-month e-statement“, tap on message icon. That’s it, you will receive six months statement on your email ID within 24 hours. So this is how SBI customers can receive last six-month account statement to the registered email address by sending an SMS.